Sorry about the delay in getting these out. Hopefully now that I have used up my vacation I can start spending more time on producing the podcast. Colton Harris Moore was arrested. Tony tore a tendon and now has to wear this! Movie of the week is Casablanca. I love this movie! Book of the week is The Cannibal Queen by Stephen Coonts. 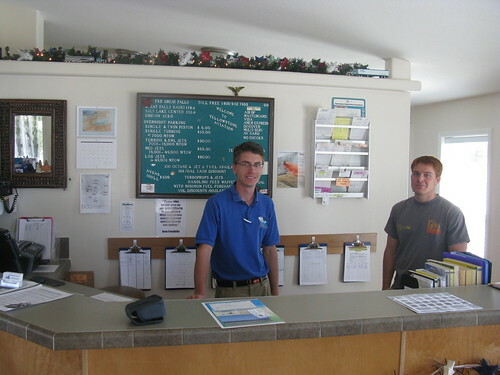 Destination of the week was Yellowstone Airport (KWYS). Here are the guys from the FBO. Song of the week: Foo Fighters - Learn to Fly. This a great video! Sound of the week is a Bristol Bulldog.